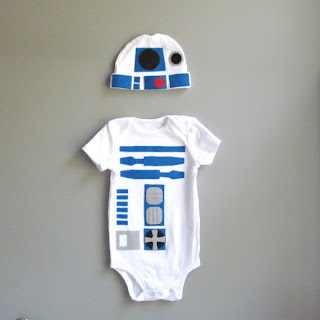 Star Wars costumes are so cute on really small kids. There's nothing like the bobble head effect of a Darth Vader costume on a tiny person, with a long stream of cape dragging on the ground. I just want to eat up all the little Jedis and Leias running around the neighbourhood on Halloween night. But then there's this. Possibly the most adorkable kids' costume yet! 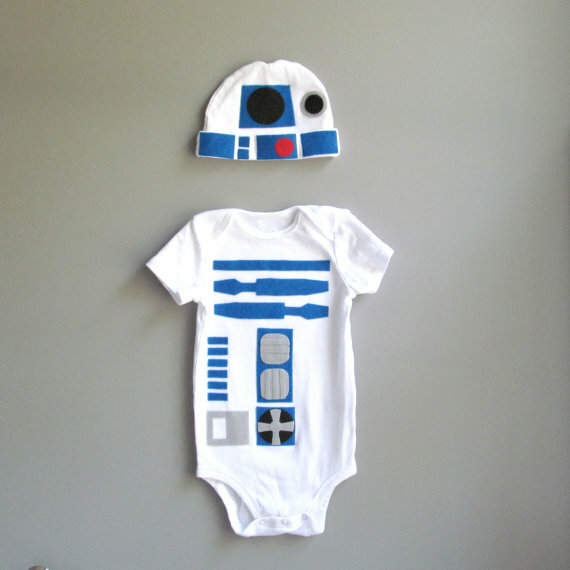 A teeny tiny toddler R2D2 onesie and cap to turn your little person into the cutest little robot in the resistance. Naturally, this is available on Etsy (where else? ).